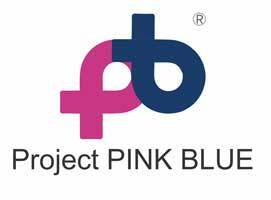 A Non-Governmental Organisation (NGO), Project Pink Blue has urged the Federal government to create an institutional action on care of cancer. The Executive Director, Project Pink Blue, Mr Runcie Chidebe, made the call in Abuja during a walk in commemoration of World Cancer Day. He noted that the event was a day set aside to create awareness on cancer. According to him, the government, stakeholders and individuals have a role to play in reducing the burden of cancer in society. Mr Chidebe decried the 2018 huge figure of 1,115 people diagnosed with cancer and about 72,000 thousand deaths in the society by the World Health Organization. He said that such figure called for urgent intervention and advocated for more screening centres and equipment, adding that it will help reduce deaths. “In Nigeria today, cancer treatment is nothing to write home about because some of the equipment and facilities are not working. If you have cancer today in our society, you are on your own and this calls for action from the government in order to curb the disease. “We are losing our mentors, mothers, fathers and children to cancer that the developed countries are curtailing,” he said. He, therefore, urged everyone to get tested for cervical, breast and prostate cancer, adding that early detection alone cannot save a life but a combination of early detection with treatment. Chidebe further said that his foundation was using the day to target and give free cervical, breast and prostate cancer screenings to 1000 patients. The Managing Director of Transcop Hilton Abuja and Calabar, Ms Owen Omegefo, said they were supporting the project in raising awareness on cancer. Omegefo who defeated cancer, urged everyone to get tested, saying that early detection is key to survival. She further said that it was important to get screened for cancer irrespective of age, adding that she was diagnosed of cervical cancer at age 29 and attributed her survival to early detection and treatment. The managing director, therefore, enjoined everyone to make lifestyle changes such as eating healthy foods and exercising, among others, as it was another way of combating cancer.